As mobile devices become an integral part of our lives, we spend long hours looking down, adding extra stress on our neck & shoulders, causing 'Text Neck'. 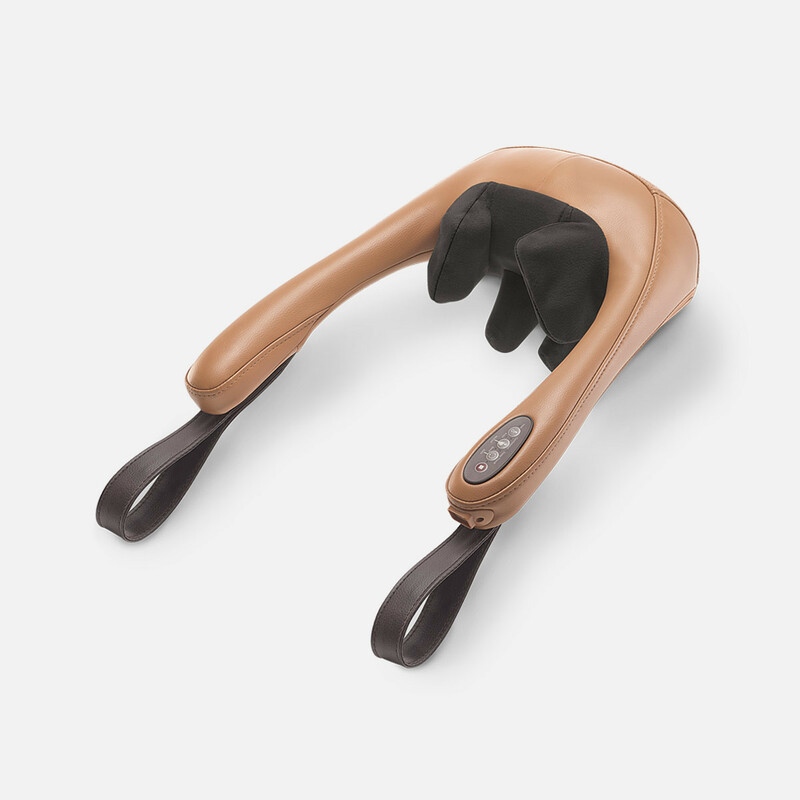 Innovative Hand-Grip Massage emulates the gripping action of a professional masseuse to extract deep-seated aches and tension at the neck and shoulders. Select 'Deep-Tissue' for a more intensive massage and 'Relax' for a gentler massage. Choose 'Continuous' or 'Pulse' options for manual program. The soothing warmth further helps to loosen stiff muscles, leaving you refreshed and energized after each massage session. Use the uMoby as a part of your daily mobile phone surfing lifestyle. Want a targeted massage on your sore points? Simply add pressure by pulling down the strap with your forearms. 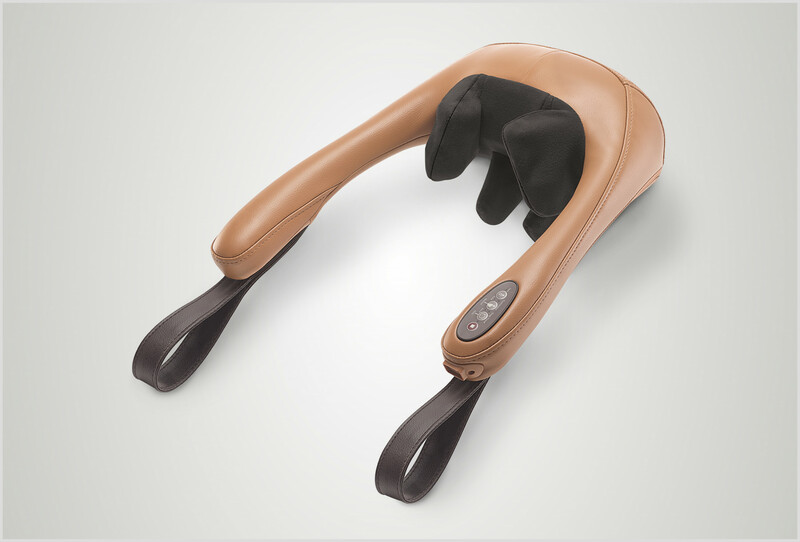 The uMoby is specially designed to loosen stiff and aching muscles caused by frequent usage of mobile devices. It fits snuggly on your shoulders for an intense and targeted massage.